Not every standout will be champion. Motorsport history is littered with 'nearly men', competitors who demonstrated excellence but weren't rewarded with title glory, across all categories. The Dakar Rally is not a championship, per se, but it's a standalone event of sufficient prestige - not to mention a season-mimicking format - to have its own champions. And after four participations, Sebastien Loeb is still not one of them. Given that he has the nine World Rally Championship titles instead, you'll rightly point out Loeb won't be losing sleep over a missed accolade. And his rally-raid exploits have certainly done his reputation no damage - if the 2019 Dakar were to be his last, his place in the marathon's history is assured, champion or not. But he should not settle for that. It'll be better for everyone - Loeb, co-driver Daniel Elena, organiser ASO and whatever team is fortunate enough to operate his car - if the Frenchman keeps at it until the Dakar has been conquered. 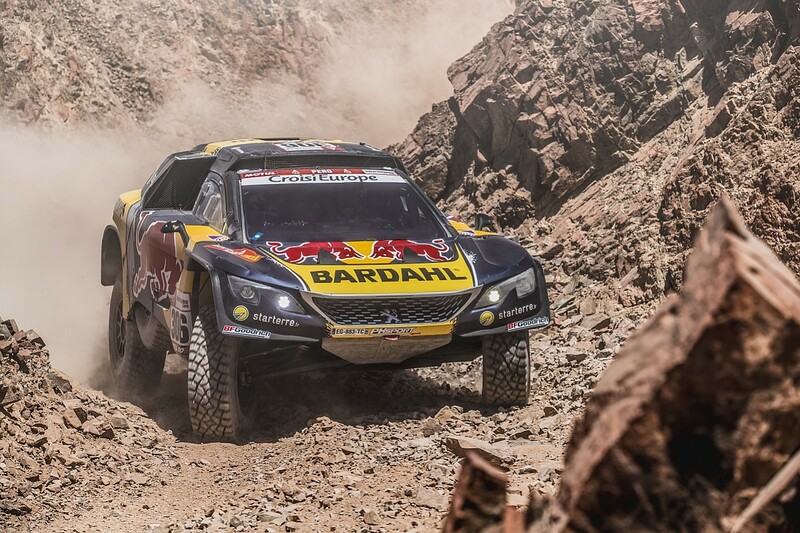 Since Loeb's debut in the Dakar as part of the works Peugeot team in 2016, the marathon has put on 46 stages. Loeb topped 14 in total, more than anyone in his class, while three of his stage wins came in his first five days of competing. That's not to say the WRC legend did not face a steep learning curve, which was almost certainly exacerbated by the endearing decision to contest the Dakar alongside his WRC co-driver Elena. "It would've been logical to choose an experienced co-driver," Loeb admitted then, "but to do it with Daniel is something special." Mitigating this was the fact that the 2016 route itself was more accommodating. The first week was heavy on fast roads, the stages described somewhat derisively as 'WRC-style', and Loeb and Elena duly prospered. But when the second week introduced a different challenge, Loeb dropped out of victory contention - rolling his Peugeot on the dunes. The 2017 Dakar was a very different rally, moving away from roads in favour of varied terrain across three countries, aimed at delivering a bigger navigational challenge - even if a lot of that was lost due to the many weather-induced stage disruptions and cancellations. Loeb rose to the occasion, keeping Dakar's all-time greatest competitor Stephane Peterhansel on his toes throughout and very nearly setting up a photo-finish, thwarted only by a late puncture. He didn't win, but it seemed a matter of time. Except suddenly time was running out. Peugeot had pulled well clear of rivals X-raid Mini and Toyota by then and decided its rally-raid mission had been accomplished, confirming that 2018 would be its farewell appearance. After describing his Dakar victory hopes as "this year or never" ahead of last season's rally, Loeb dropped his Peugeot in a crevice the day after taking his first stage win of that event. Elena had sustained a tailbone injury, meaning the Dakar dream was over - perhaps for good, as Loeb wasn't sure he'd return. There was certainly reason to doubt he would, and those doubts increased when X-raid signed Peugeot's whole line-up sans Loeb to drive its still-in-development Mini buggies. Unlike the ever-engaging Peterhansel or the permanently smiling Nasser Al-Attiyah, Loeb's ultra-professional veneer never betrayed an overwhelming enthusiasm for Dakar. He obviously put a lot of time into learning the rally-raid discipline, but then again you would've expected nothing less from Loeb. Yet after three years in Peugeot's ranks, perhaps the novelty had worn off? Perhaps, with no obvious factory opportunities and plenty of other motorsport categories vying for his attention, a Dakar return wasn't worth the effort? A surprise privateer programme with PH Sport and a 2017-spec Peugeot 3008 DKR came as a resounding answer to those questions. And the actual performance cemented Loeb as, irrespective of his WRC achievements, a genuine star of cross-country rallying. After all, the 10-day 2019 route in Peru was a far cry from the Dakar Loeb made his debut in. 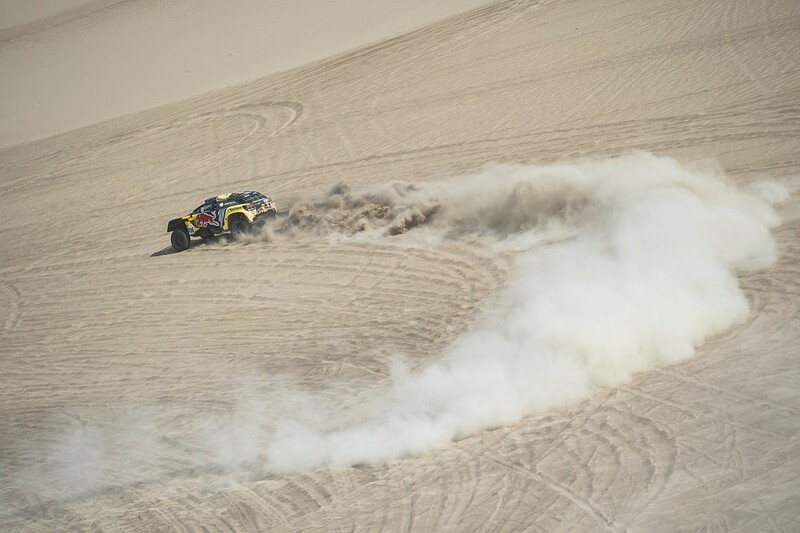 This time, it was all dunes, sand, fesh-fesh, almost a throwback to how the rally was before its move to South America. But Loeb's pace did not suffer at all. "We were always the fastest in the field," he said after the finish, and it was hard to argue otherwise. He was quick enough for his victory hopes to survive a huge navigational mishap in the first week, but late mechanical troubles meant it was not possible to take the fight to the very strong and consistent Al-Attiyah, whose Toyota Hilux ended the rally with a "perfect" reliability record. Loeb's privateer run is proof of his affinity for the marathon, and after arriving at the end in third he chose to sign off with a very encouraging "we will have to do better next time". But his recent two-year part-time WRC deal with Hyundai means it's not clear when that next time will come. His participation in this year's Monte Carlo WRC opener means he will not have had much rest after the Dakar, and Loeb has made it clear that, even if the calendar allows a similar programme next year, he has little interest in repeating it. If he's to plan a Dakar return as a privateer, there might be an expiration date. Loeb wasn't allowed to run the 2018-spec Peugeot this year, but it could be that in two years, having received no works development, the car will be badly out of date anyway compared to the Toyotas and the Mini buggies - if not just flat out banned. And while Loeb's name should really be first on the list of any manufacturer involved in the Dakar, he's now employed by one that isn't participating and isn't affiliated to any participating marque. There's also the 2019 roadbook gripe that enraged his co-driver Elena. Such rows are a very familiar sight on the Dakar, and the organisation admitted it was at fault for the "confusion", but Elena went as far as to suggest he wanted to withdraw from the event. "If I could decide for the both of us, we would take the plane and we would train for the Monte Carlo Rally and rest," he said at the rest day. ASO would be wise to avoid such conflict in the future, and it would be wiser still to accommodate and encourage Loeb's future participation in the rally. Not only has his presence been an undeniable draw in terms of name recognition, but his commitment and pace have provided legitimacy. The first post-Peugeot-era Dakar, and Toyota's resulting maiden win, would not have been nearly as notable or worthwhile if Al-Attiyah didn't have to square up against somebody like the French rally legend. Whatever wheels need greasing, whatever rules or dates need changing, to ensure Loeb returns and has a baseline competitive drive - all of this should be done. You can claim no one driver need be bigger than the race, but then again, you only need to ask the World Endurance Championship whether it's regretting its efforts to secure Fernando Alonso for 2018-20. Incidentally, Alonso could very well be Dakar's next guest star, given that he is set to test a Toyota Hilux and that the manufacturer is keen to see him in the race. As team boss Glyn Hall admitted, "the sport would explode" if it were to come off. Even if it's just a one-time boon, it is clearly worth pursuing. 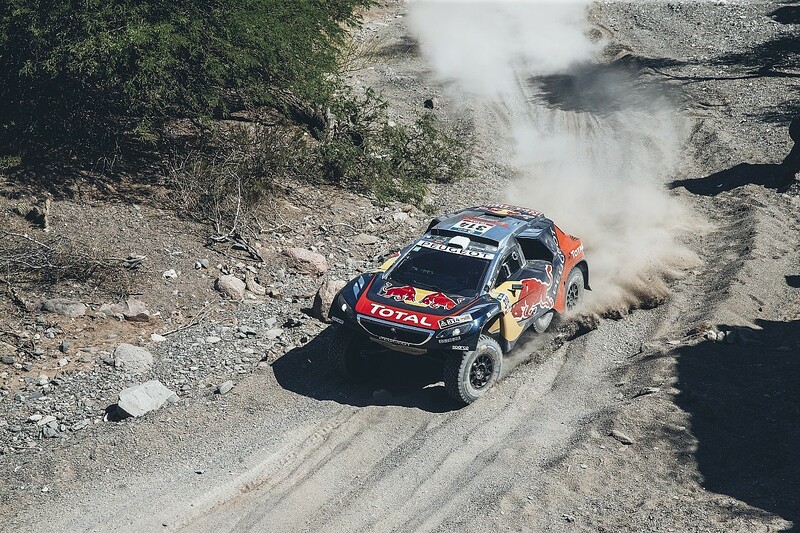 But Loeb's Dakar commitment has already gone beyond short-term, and he is now its main regular star. His legacy in motorsport is long secured, but 'Dakar champion' would look very nice indeed alongside 'nine-time World Rally champion'. So he should keep at it - and everyone involved in the rally must make sure he gets more opportunities.